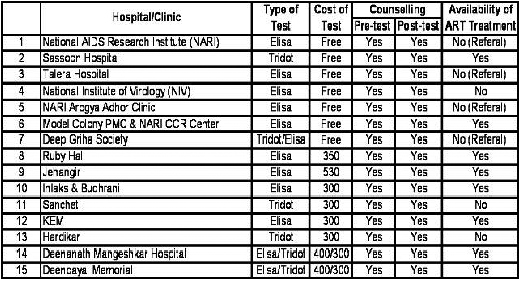 The following table gives details of various testing centres in Pune. This page also includes an interactive map (view full version in separate window) and a list of contact addresses. If you have been tested in Pune, you can help us assess the best testing centres by filling out our anonymous online survey. The survey can only be filled out for one testing centre at a time, for tests done at multiple testing centres please fill out the survey for each location. Click here to access the online survey. Thank you!